Hamisu ibrahim, is a blogger, a tweeter, an educational technologist, creator of content, a citizen of kano Nigeria in africa, Hamisu is a Nigerian graduate from bayero university kano, in science and technology education , He is the founder of hameestee blog in recognition of being a change agent of his field, Mr. Hamisu is best among the best of those who are always ready to bring changes in Nigerian education and Africa in general. 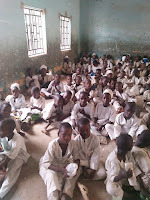 In most of primary schools in northern Nigeria overcrawdness is one of the problems that makes learning not suitable, a classroom that can contain twenty pupils will be filled with more than one hundren pupils or even two hundred pupils in some schools. 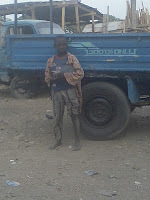 As a result of that it will be difficult for a teacher to control the class, there for some of the pupils will end up playing instead of learning, and if the teacher is not well qualified he/she will be confused of the method to be apply in such class, the pupils will end up knowing nothing but wasting their time of primary school going age. * slow learners are the learners that do not understand lessons quickly in the classroom, such learners are observed right from the time they started their primary school, when ever a teacher observe a slow leaner in his or her classroom an extra care should be given to such learners, if possible an extra lesson should be given to them. * average learners: these are the learners that are in between the slow learners and fast learners, they neither learn fast nor slow, this type of learners can some times change to fast learners if they are forced to. When ever I teacher discover such pupils, he or she should give them extra care and motivation, so as to create a way to change them to become fast learners. 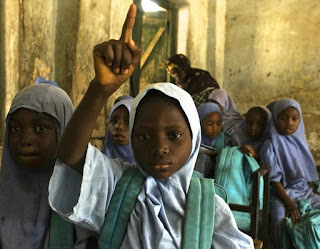 The primary level of education has the largest enrolment, followed by secondary level and Tertiary level, primary education is very important component of Nigerian education system sector that deserves handling with great care and caution.